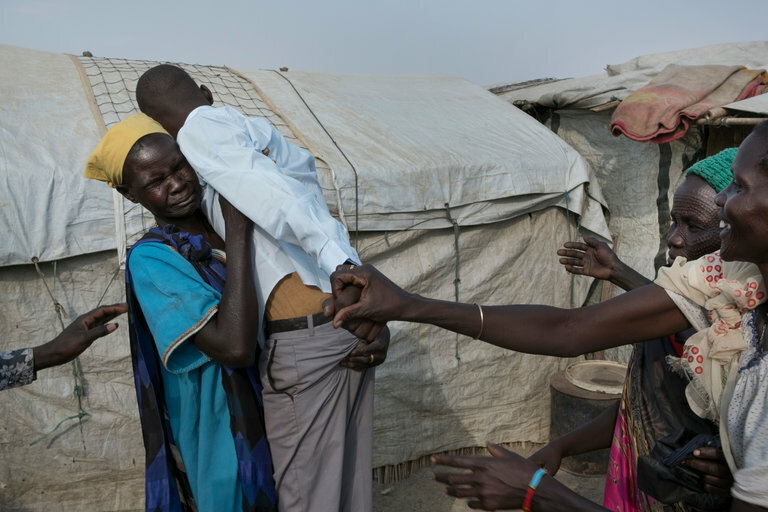 Duop, a sixteen-year-old from South Sudan, dropped out of school at just nine years old. He joined a rebel militia, then joined the government’s army, and after defecting, was captured, beaten, and left to die. He was found by an older man wandering outside of Juba, the nation’s capital, and taken to a large displaced persons camp. Duop didn’t speak for weeks. He had suffered severe damage to his head, and officials believe his ability to talk may have been compromised. After weeks of searching for his family, Unicef workers were able to contact Duop’s mother, and a meeting was arranged. After six long years, a mother and her son were at last reunited. Under international law, it is illegal to use child soldiers. However, it’s common for children to be used in militias by both rebel forces and the government militia in South Sudan. Children are subjected to horrific sites and experience things that most won’t ever see in a lifetime, let alone at such a young age. Because he made it out alive, Duop is considered lucky. And yet, life for this young man will never be the same. His ability to communicate or hold a job is still uncertain and the look in his eyes tells of unforgotten horrors. What can be done to protect other children from facing a similar fate? Its nice to hear a story been reported about reconciliation in a case like this, for so many of the stories we hear are of death and destruction. A child rejoining society after being exposed to the horrors of being a child soldier presents some serious challenges. I think there needs to be more organizations focusing on the reintegration of children back into society, teaching social norms, behavioral skills, and how to be a contributing member of society. Along with this there needs to be education among the members of the society about forgiveness and healing, because if they come back and are shunned like many of them are, it only leads to more problems later on. This poses a tough question for me. Where are our efforts best focused in situations such as these? Should we focus on creating organizations to help children reintegrate after horrific experiences? Should we instead focus more energy on eliminating the roots of the problem–children becoming involved in such situations in the first place? How much influence do we really have when it comes to solving the root of the problem? Child soldiers are already illegal under international law. What other actions can we take? Do we go in and intervene?